Great to see the Tattersalls Gold Cup finally posing a field worthy its top level status – that wasn’t the case in recent years! But this years renewal makes certainly up for the lack of classy contenders over the last couple of seasons. Top rated The Grey Gatsby was no match for new emerging French star Solow (taking on Cirrus Des Aigles at Longchamp today) in the Dubai Turf back in March but the 9 furlongs trip was probably a bit on the sharp side for him. He wasn’t disgraced finishing second and is expected to come on for the run. The stiff Curragh uphill finish may well suit this gutsy grinder – on the other hand, it will ensure that any flaws in his stamina are going to be exploited over the 10.5f trip. His only try over further than 10f ended in defeat. Thay may sound a contradicting given that I sad 9f have been potentially too sharp. But it seems that a flat 10 furlongs is the absolute optimum for The Grey Gatsby. Nonetheless his heroic Irish Champions Stakes victory is the standout piece of form. No doubt he’s at he head of the market for all the right reasons. He is the horse the others have to beat. Exactly two years ago it was Al Kazeem who took the scalp of Camelot in this very same race. 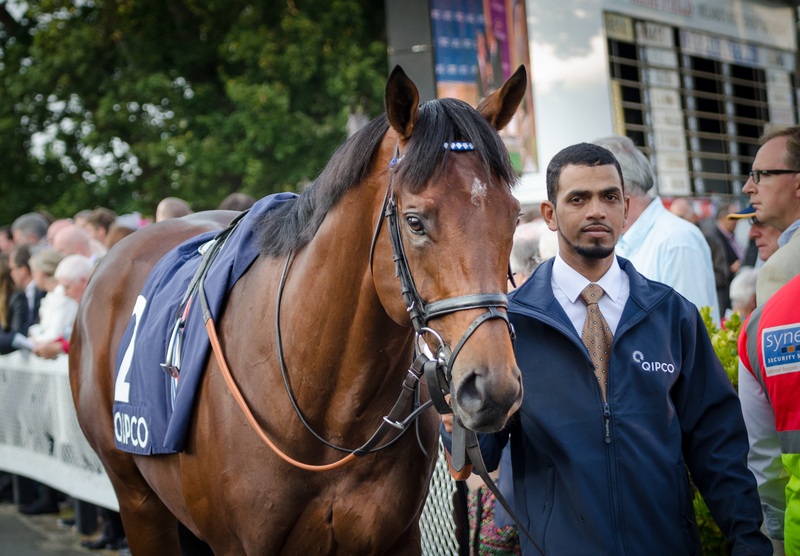 He went on to win the Coral Eclipse and was initially retired at the end of the 2013 season. He didn’t make it as a stallion in the breeding shed but clearly didn’t lose much of his old ability. He won a French Group 2 back in April and went on to push Cirrus Des Aigles hard in the Group 1 Prix Ganay. That’s very strong form and gives Al Kazeem a very decent shot today! Progressive Postponed has clearly trained on. He is a big, scopey individual, who impressed on his seasonal reappearance when second in the Gordon Richards Stakes. He’ll relish the stamina test this track and trip will provide, but is it enough? He seems bit better over further and may need quick ground to be seen to best effect as well. However he has every chance to prove me wrong one this particular perception today. Drying ground is surely a plus. Dermot Weld’s Fascinating Rock emerged as a lively Derby contender early last season but those dreams didn’t materialize eventually. He was off after two disappointing performances in the English and Irish Derby but looked stronger and more mature first time out at Leopardstown in a Listed race over 1m back in April this year. He followed up with an impressive display in the Group 3 Mooresbridge Stakes over 10f here at the Curragh. Today is is his toughest test to date but he looks improving as an older horse now and may well be up to it. Parish Hall finished a fair second behind Fascinating Rock last month. He was clearly second best on the day should be found out for class today. Highly Toxic looks very much up against it in this field. Verdict: Hard to split the big guns. That’s why I go with Fascinating Rock who seems a bit overpriced. He has to prove that he belongs in this class as well as that he can act on better ground alike. But there is every chance for more improvement from him. The way he put the race to bed last month here at the Curragh impressed me and I don’t think that the ground is a real issue. We’ll find out today if he is a proper Group 1 horse, or maybe just slightly below the level required to mix it with the very best.